'Beer archaeologist' Travis Rupp inspects the latest ale of antiquity, George Washington Porter, surrounded by the oak barrels it fermented in at Avery Brewing Company in Boulder, Colo.
Once he got to brewing, the corn-quinoa-spit mixture gelatinized in a stainless steel tank, creating a dense blob equivalent in volume and texture to about seven bathtubs of polenta. In another go, Rupp managed to avoid the brew’s gelatinous fate, but encountered a new problem when it came time to drain the tank. These are the kinds of sticky situations that come with trying to bring ancient flavors into modern times. A self-proclaimed beer archaeologist, Rupp has traveled the world in search of clues to how ancient civilizations made and consumed beer. With Avery Brewing Company, he’s concocted eight of them in a series called Ales of Antiquity. There’s the Viking-inspired beer based on information gleaned from sagas and the debris of ancient shipwrecks. It’s made with juniper branches and baker’s yeast, which gives it a slight but surprising whiff of banana. (Rupp regrets that he had to ferment it in regular brewing equipment rather than a more historically accurate trough made from a freshly cut and hollowed out juniper tree). There’s Beersheba, a beer based on references and artifacts primarily from Israel. It involves three types of grain and pomegranate juice, in the style of King Zimri-Lim, who, Rupp read, was known to send slaves into the mountains to get snow for his icehouse so that his beer could be served cold. It’s one of Rupp’s personal favorites, despite smelling a little like baby spit-up and tasting like a funky fruit roll-up. A beer called ‘Benedictus’ came about when Rupp teamed up with a couple of Italian monks to recreate a monastic recipe calling for wormwood and lavender and dating to 825 C.E. It smells like a spicy men’s shampoo and feels like drinking an herb garden. The Peruvian chicha, on the other hand is a sour, summery fare. The brewery just released its latest, a porter meant to show what George Washington would have been cracking open at Mount Vernon in his retirement years. Rupp is the first to admit that perfectly resurrecting old brews is an impossible task. Rupp is now gearing up to tackle a controversial question among brewers: What did the original India Pale Ale really taste like? He’s also planning trips to investigate the brewing traditions of Kazakhstan and Uruguay, and exploring whether it might be possible to resurrect a beer that sunk aboard a Swedish ship almost 400 years ago. Some day, just for fun and if technology would allow it, he’d love to resurrect ancient yeast from Antarctic ice cores and brew something with it. All of this started in 2010, when Rupp finished graduate school in classical history and started lecturing part-time at the University of Colorado Boulder. “Of course, that's not going to cut it paying the bills, so I was looking for other work,” he says. 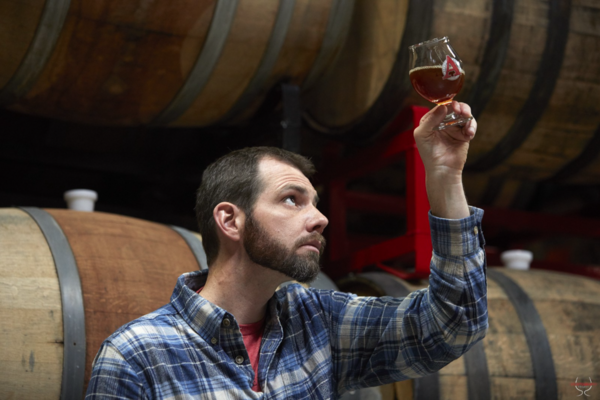 Eventually, he wound up as a bartender at Avery Brewing Company in Boulder, Colorado, where he now oversees research and development and the wood barrel aging program, all the while continuing to teach classes at the University of Colorado Boulder on topics like Pompeii and ancient sports. But Rupp maintains that the ancients wouldn’t settle for “mundane gruel” any more than we would. “We know the Egyptians didn't do that. They actually record putting fruits and things into their beer to sweeten it and to literally varietize the beer,” he says. And the Romans were quick to trash Egyptian brews. Then, there’s another assumption: that if a culture’s records and art don’t frequently and obviously reference beer, then they probably didn’t make or drink it. In some seemingly beer-less societies, he says, it’s possible the drink was so common it didn’t seem worth writing about. Or at least, didn’t seem worth writing about to the high-falutin’ sliver of the population that could actually write. The ancient Greeks, for example, aren’t widely considered to have been beer drinkers because it doesn’t come up in their written records — not the way wine and olives do. But after a two-year scavenger hunt through records and across archaeological sites, Rupp has come to believe that the Greeks were, indeed, brewers — at least during the Bronze Age. For example, decades-old excavation reports written by archaeologists working at the prehistoric settlement of Akrotiri mention vases containing “imperfectly ground flour,” including bits of seed husks. Combined with recent finds, it stands to reason then that the ancient Greeks might have been downing beer just like the Egyptians, Mesopotamians, Scandinavians, Romans and Babylonians. And how about us? A thousand years from now, if beer archaeologists look back on our time, what beer might they assume current Americans loved the most?